Surat, Metro Rail News: With the uniqueness of Surat railway station will be developed into a world-class facility ‘multi modal transport hub’ (MMTH). 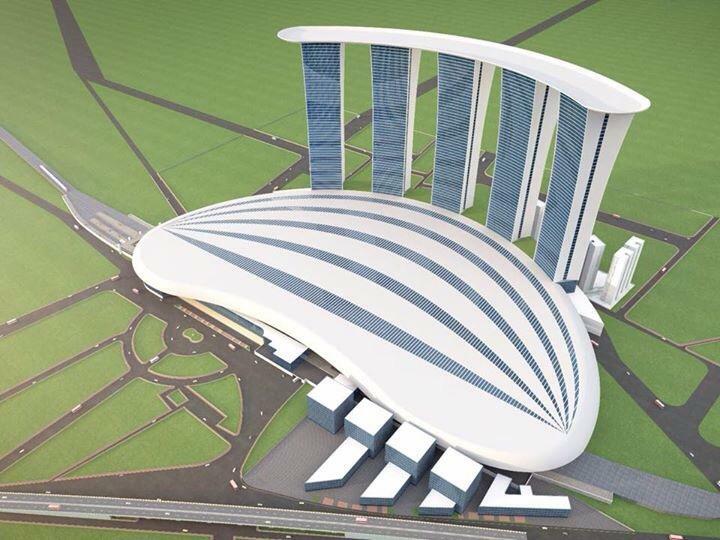 The Surat multi-modal transport hub will have a swanky railway station, a modular passenger friendly concourse, a bus terminal, wide station lobby, big ticketing hall, retail and offices space in the commercial towers, seamless boarding facilities and connecting bridges among a host of other facilities. In other words, the railway station will have an airport like facilities for passengers. According to officials, the Surat multi-modal transport hub will aim at enabling seamless transit – with simple connectivity between the railway station, bus terminal and other transport modes in the city. As per plan, the transport hub will also be linked with the city metro rail network, Bus Rapid Transit System as well as suburban network. Interestingly, the Surat city railway station will be the third one in the country to get an international-standard revamp, the first two being Habib Ganj and Gandhi Nagar railway stations. ” A special purpose vehicle (SPV) ‘Surat Integrated Transport Development Corporation (SITCO)’, has been formed by the Centre (Railways), Surat Muncipal Corporation and Road Transport Corporation of the state. The bid opening date has now been extended to December 7, .2018 based on the request of bidders by the Indian Railway Stations Development Corporation (IRSDC),” officials said. Sources in the Railways said that the project once completed, will transform the face of Surat. The total land area of the station will be 3,19,700 sqm and the built-up area 57,739 sqm with the size of the concourse at 9,825 sqm. The area under commercial development would be around 5,07,054 sqm. The station would be a multi-modal transport hub with a bus terminal having a built-up area of 40,724 sqm. “The built up area (BUA) of the proposed commercial development has been increased from 5.06 lakh square meter to 8.40 lakh square meter. The built up area will exclude basements or any upper floors for satisfying the parking/ fire requirements as per local byelaws. The hub will be built at a cost of around Rs 5,000 crore. “For the first time in the history of the country the central government, state government and the urban local body are coming together to make a multi-modal transport hub by pooling their lands. It will also have five road under-bridges and a parking space for 900 vehicles. It is expected to cater to around 3,49,684 passengers every day”,officials said. The commercial area at ground level increased from 3,54,864 sq.m. to 7,84,596 sq.m. considering the local demand at Surat. While the Habib Ganj railway station work is expected to be complete by December-end this year, the Gandhi Nagar station will open in time for the Vibrant Gujarat Summit in January 2019.